Täby Centrum Roundabouts received the award ”Helgjutet”, given by Svensk Betong (Swedish Concrete) every other year. The prize was established to highlight the ability of concrete constructions to create good architecture and / or innovative thinking in design and rational work performance. Täby Centrum Roundabouts also received Trafikverkets Architecture prize. This prize is awarded by Trafikverket (The Swedish Transport Administration) every other year. The Swedish Architects Association administers the prize. Trafikverket’s architecture prize is given to a well-designed and -functioning infrastructure system that corresponds to high architectural and sustainable standards, with respect for the natural and cultural values. The facility that attention would have such qualities that help develop the community and become a role model for others. The awarded work should support the societal development and represent a model for others. Read more about the Svensk Betong ”Helgjutet” prize here. Read more about Trafikverkets Architecture prize here. 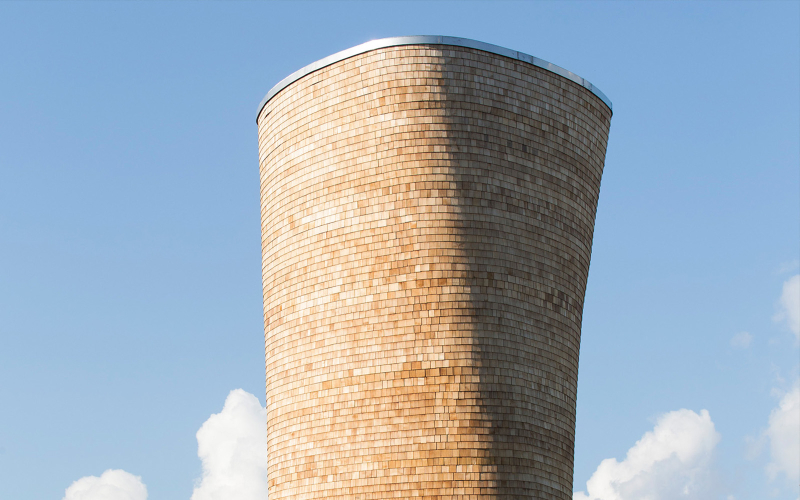 The Wooden Ventilation Tower in Stockholm’s National City Park is nominated for the Wood Award “Träpriset” 2016! Träpriset is an architecture award handed out by Svenskt Trä (Sedish Wood) together with one of the largest and most famous architectural competitions. Träpriset is awarded every fourth year to a building erected in Sweden that is reckoned to represent good architecture in wood while reflecting and developing present trends. Träpriset 2016 counted a total of 139 entries. Of these, the jury chose ten nominations. The winner was announced on the 9th of March 2016, at Nalen in Stockholm. 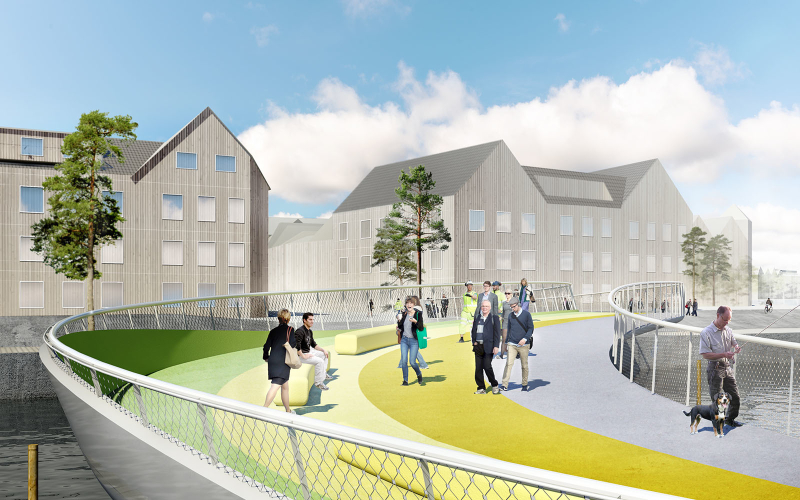 &Rundquist is participating in a competition for a new bridge in Norrtälje. The proposal is a swing bridge that moves with a sweeping shape across the water. The Bridge of Sundsvall was a finalist in this year’s World Architecture Festival (WAF) Awards in the category ”Transport – Completed Buildings”. 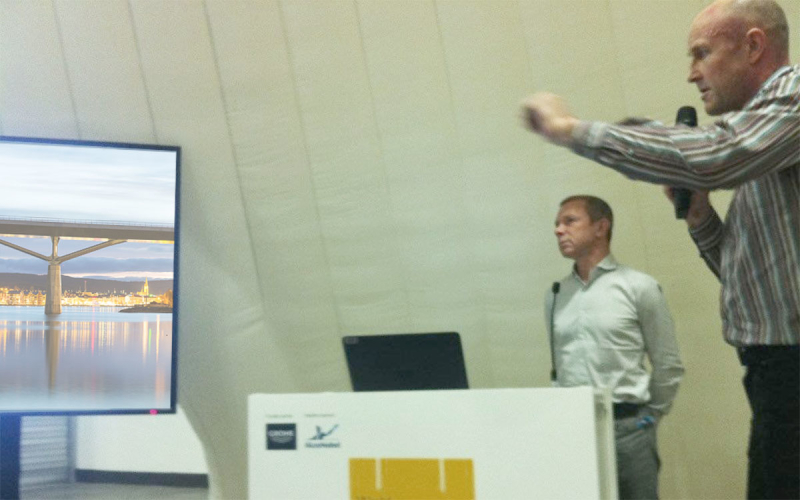 Henrik Rundquist and Peter Leuchsenring were in Singapore on November 6th and presented the project in front of an international jury. The World Architecture Festival is the world’s largest international architectural event. It includes the biggest architectural awards programme in the world, dedicated to celebrating excellence via live presentations to delegates and international juries. 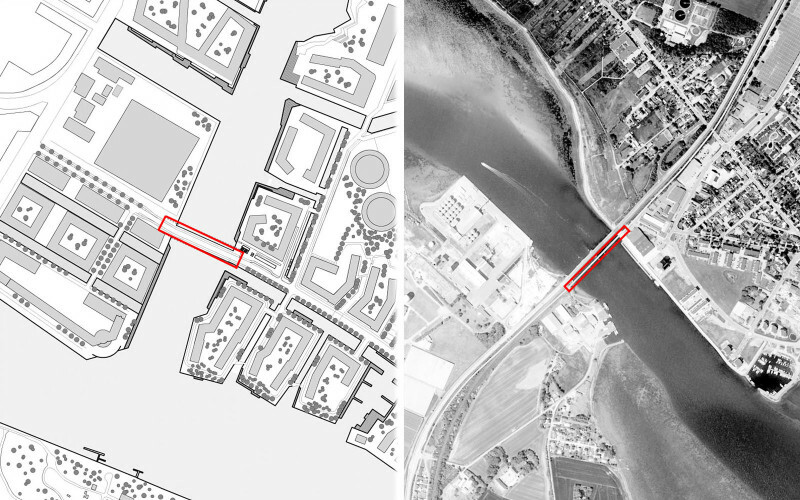 The Bridge of Sundsvall is also featured in the new number of Detail structure 2/2015.  The article puts on focus the construction process and is illustrated with technical details. 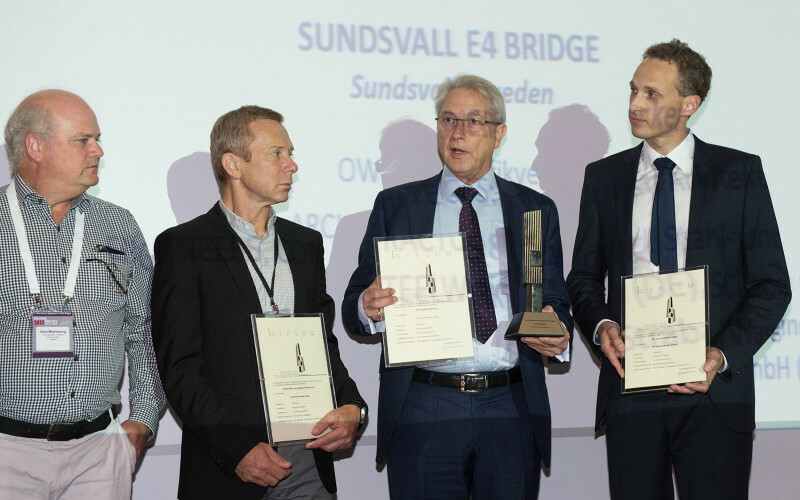 The Bridge of Sundsvall furthermore received the European Steel Design Award 2015, awarded in Istanbul on the 15th of September. Read more about Detail structure 2/2015 here. Read more about Sundsvallsbron in Detail inspiration here. Read more about the European Steel Design Award here. In April 2015 started the assessment process for the Kasper Salin Award. Henrik Rundquist is part of this year’s Kasper Salin Jury. The Kasper Salin Award is granted annually by the Swedish Association of Architects to a Swedish construction or group of buildings of high architectural class. It is considered the most prestigious of its kind in Sweden. The winner will be announced on November 19, during the Architecture Awards in Stockholm.